General Hospital (GH) spoilers tease that some shockers are looming on the ABC soap. Port Charles is in the dark on one marriage, but not for long. Which GH character has a secret spouse? 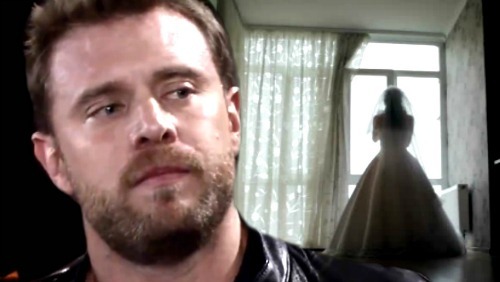 Drew (Billy Miller) seems like a good fit here. He has no idea what happened before the memory mapping study, so it’s possible he got married years ago. Drew may have a wife out there somewhere! Kim (Tamara Braun) could be an option, but the navy didn’t try to notify her after Drew went missing. That means it would have to be a true secret. If Drew and Kim kept their marriage quiet for whatever reason, that might explain why the navy didn’t know. However, it’s not clear why Kim would still be keeping that to herself. Why not just tell Drew and get a divorce? Perhaps we’d better think about other possibilities. General Hospital spoilers reveal that Drew will face some surprises pretty soon. As he digs deep into his past, he’ll find out startling facts about his former life. Once this difficult info comes out, Drew may wish he’d left his history alone. He’ll eventually learn secrets that put his relationship with Sam (Kelly Monaco) in jeopardy. A hidden marriage could certainly derail their romance. It would also add more depth to Drew’s side of this story. At this point, their issues are mainly about Sam’s connection to Jason (Steve Burton). She can’t seem to shake the love they share. If General Hospital gives Drew a wife to cut ties with, it would bring in some complications on his end. Plus, it could open the door to old feelings if Drew’s memories return. Drew could find himself facing a dilemma that’s similar to Sam’s. He loves Sam and wants to be with her, but there could be a strong pull toward his history with someone else. That would definitely be an intriguing storyline development. Regardless, General Hospital spoilers say Sam and Drew will have to tackle some serious problems. We’ll give you updates as other GH news comes in. Stay tuned to the ABC soap and don’t forget to check CDL often for the latest General Hospital spoilers, updates and news.